Business activities of non-bank foreign exchange is regulated under the Regulation of Bank of Indonesia No. 16/15/PBI/2014 on the Business Activities of Non-Bank Foreign Exchange (“PBI No. 16/2015”). The PBI No. 16/2015 was issued (i) by considering the business activity of foreign exchange as supporter of financial sector to support the achieving of stability of Rupiah value, and (ii) to create the good governance in this business activity and to prevent this business to be used as a vehicle of money laundering and funding of terrorism. purchasing of Travelers Check (Cek Pelawat/”CP”). Sale and purchase transaction as mentioned in letter a and b shall be (i) surrendered physically for UKA, and (ii) surrendered physically or by interbank or between-bank transfer for Rupiah as long as it is originated from or addressed to the account of operator of Non-Bank KUPVA. maintain the documents and slips related to the recording of transaction. 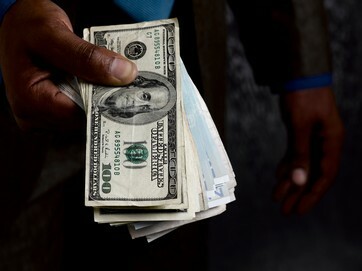 d. the paid-up capital does not come from the loan and/or for the purpose of money laundering. conduct its business activities within 30 (thirty) days from the date of issuance of IUPVA. The implementation of KUPVA shall be reported to Bank Indonesia no later than 10 (ten) business days from the date of the implementation of IUPVA. If within the said period the Organizer of KUPVA does not implement the IUPVA, then IUPVA which have been issued shall become null and void. submit a report to Bank Indonesia that includes periodical reports and incidental reports. Submission of periodical reports is submitted online through the website of Commercial Bank Head Office Report (Laporan Kantor Pusat Bank Umum/”LKPBU”) of Bank of Indonesia. As for incidental report is submitted in writing to Bank of Indonesia. The Organizer of KUPVA that violates the provisions of PBI No. 16/2014 may be imposed to administrative sanctions in the form of (i) a written warning, (ii) fines, (iii) cancellation of the license, (iv) the suspension of business activities, and/or (v) revocation of business licenses. The holder of IUPVA may also conduct Money Remittance business by obtaining Business License on the Operator of Money Remittance (Izin Usaha Penyelenggara Kegiatan Usaha Pegiriman Uang/ “IUKUPU”) issued by Bank Indonesia. document which shows the financial condition of the applicant in the form of (x) financial report of the applicant of the latest 3 (three) years for the applicant which already exist for more than 3 (three) years, (y) financial report of the applicant of the latest 2 (three) years or less for the applicant which already exist for less than 3 (three) years, and (z) financial report, financial balance, list of active and passive, or other documents which shows the financial condition for the newly established company. written policies and procedures on the effective disaster recovery plan and business continuity plan to overcoming and minimizing problems arising from unforeseen events that can disrupt the smooth operation of the organization of Fund Transfer. in which the above mentioned requirements must be stated in the statement letter of the board of directors and board of commissioners. The statement letters shall be made in Indonesian language. PBI No. 14/2012 states that the Bank of Indonesia has the authority to set a limit on the nominal value of the Funds Transfer from and to abroad which conducted by the company who obtains IUKUPU, in which the said regulation states that it will be set further on the Circular Letter of Bank of Indonesia. However, to date there is no Circular Letter of Bank of Indonesia that has been issued to set the limitation on the nominal value of Fund Transfer. The operator of KUPVA (which also conduct KUPU) may conduct its business activities elsewhere, though the application of IUPVA and IUKUPU are filed in one place. the organizational structure of the branch office. For the Operator of KUPVA which will open a branch office in DKI Jakarta, Kotamadya Denpasar and Kabupaten Badung as well as Kotamadya Batam, the paid-up capital of the company must at least be Rp 250,000,000.- (two hundred and fifty million Rupiah). Letter of application for business license as referred to in number 1 is signed by the Board of Directors of the company and submitted to the Bank Indonesia. period of the opening of outlets (counter) of PVA set a maximum of 1 (one) month and can be extended for 1 (one) times longer than 1 (one) month.